optical products manufacturer, producing quality Dental Loupes Surgical Loupes and Headlights. hopkin is Online to help you. Hellen is Online to help you. CareOptical is dedicated to the design, development, manufacture, and worldwide distribution of unique, innovative and specialized hand-held cardiac, thoracic, vascular, neurosurgical, ophthalmic and microsurgical instruments of the highest quality. Meticulous design, skillfully produced, absolute precision, high strength, durability and light weight are the prerequisites. Total quality of manufacture is the objective. The Care-Optical range of titanium microsurgical instruments has been developed by surgeons in association with specialist technicians from appropriate engineering disciplines. CareOptical has pioneered the use of titanium as the most effective material for microsurgical instruments. It is only two-thirds the weight of stainless steel, yet is harder and stronger. It is non-toxic, non-corrosive and non-magnetic and can be sterilized by all known techniques. CareOptical titanium instruments feature tungsten carbide coated tips. The surface comprises smoothly rounded particles, slightly uneven and very hard. This provides a firm interlocking grip for optimum security when undertaking delicate surgical techniques, even when a viscous medium is being used. Forceps with coated tips may be used with confidence to hold delicate tissue with minimal trauma. All CareOptical titanium instruments are anodized is a distinctive non-glare blue finish. The confidence with which they can be manipulated, combined with their lighted weight, contributes significantly to reduced fatigue for the surgeon during extended procedures. Rigorous quality control, innovative design and a continual product development programme give CareOptical titanium microsurgical instruments the competitive edge. 1. Do not allow blood, tissue or saline (BSS) to dry on instruments. 2. Never use saline (BSS) for rinsing instruments. 3. Always use demineralized or distilled water for final rinsing. 4. Metal brushes and abrasive powers are a no-no, clean with a soft bristled toothbrush. 5. When storing instruments, ensure tips are protected. 6. CareOptical instruments are guaranteed for life against defects in materials and workmanship. 7. Contact CareOptical for technical questions. Tell us what you think about Straight Toothed Forceps 0.10mm 1x2 teeh 6/115mm 1401122W, share your opinion with other people. 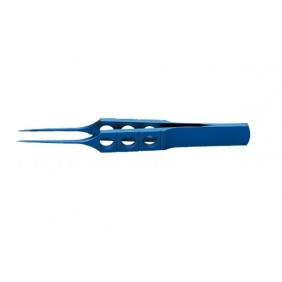 Please make sure that your review focus on Straight Toothed Forceps 0.10mm 1x2 teeh 6/115mm 1401122W. All the reviews are moderated and will be reviewed within two business days. Inappropriate reviews will not be posted. Worldwide shipping from overebay Wholesale is fast and safe. Simply choose your shipping method during Checkout. Free Airmail: 12 to 19 days. Standard service: 9 to 12 days. Expedited service: 3 to 6 days. Total delivery time is the sum of the shipping time as well as the processing time, which includes selecting the product, checking quality and packing the product. For more Shipping details click here. For more Delivery Time details click here. located and where your package is coming from. www.optical-world.com.--- professional optical products manufactuer , Focusing on producing high quality dental loupes surgical loupes and LED headlight, also supply optical lens, polarized lens, medical optics,laser safety optical products,sports optics and other optical products .